We are happy to announce that Health theme finally released. 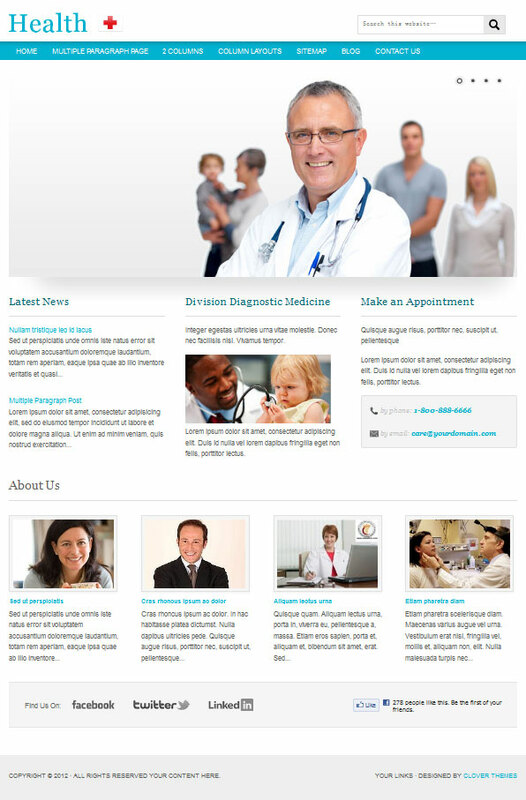 This is a new CMS WordPress theme designed for dentists, doctors, and health clinics or any other medical related websites. Health WordPress theme is great for health related blogs. If you are All Theme Package member, you can download it FREE. This new CMS WordPress theme fully compatible with WordPress 3.0 – latest 3.3+ Supported by all major browsers.